Episode 11 – Everybody Loves Cake! At launch The Orange Box included 4 highly anticipated sequels to well known titles: Half-Life 2, Half-Life 2: Episodes 1 and 2, and Team Fortress 2. It also included something that no one had ever heard of before: Portal. This seemingly inconsequential title must have been overlooked by almost everyone at first. However, with it’s simplistic game play, minimalist – yet engaging – level design, and of course: GLaDOS, Portal stole the show! A unique and fresh look at puzzle games, Portal actually stemmed from a school project. The greatest part: Steam went on to release Portal 2 just to prove it wasn’t a one-off! 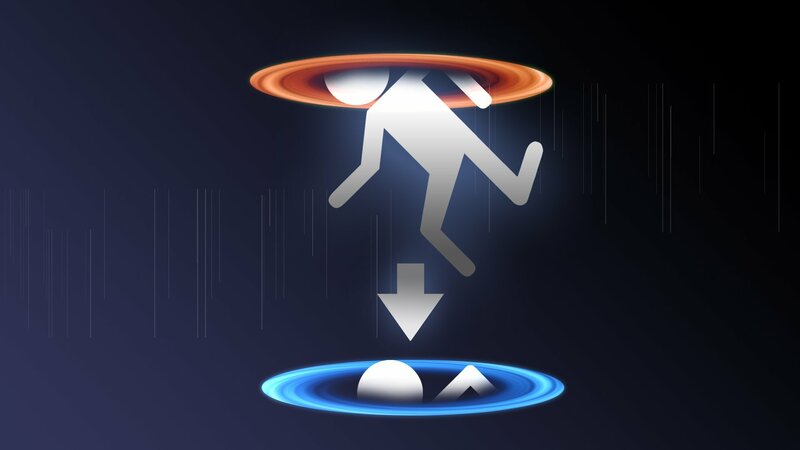 They even went back and changed Portal‘s original ending in order to accommodate a sequel! While the boys have been gliding around Arkham City in the new Batman or sucker punching sharks in Assassin’s Creed IV, the gaming scene has been pretty dead. Oh, except for the launch of the heavy hitters in the Next Generation of video game Consoles; the Plastation 4 and Xbox One (we own neither). Eventually, One of us will break down and get a new system. Until then, there are still plenty of great games to be played on the now Last-Gen systems. We managed to torture Chester by making him sit through our recording and not granting him a microphone. This still did not stop him from “breaking” into our conversations. Our stickers are still on back order, so your skateboard will have to wait. In the meantime: call up Regent Bakery & Cafe; order up a slice of cake; toss all of your knowledge about physics out of the window; and enjoy the 11th episode of the Casual Cowards of Gaming.